The project meets requirements of European Maritime Safety Agency (EMSA) and is considered as a part of its global oil pollution response equipment. 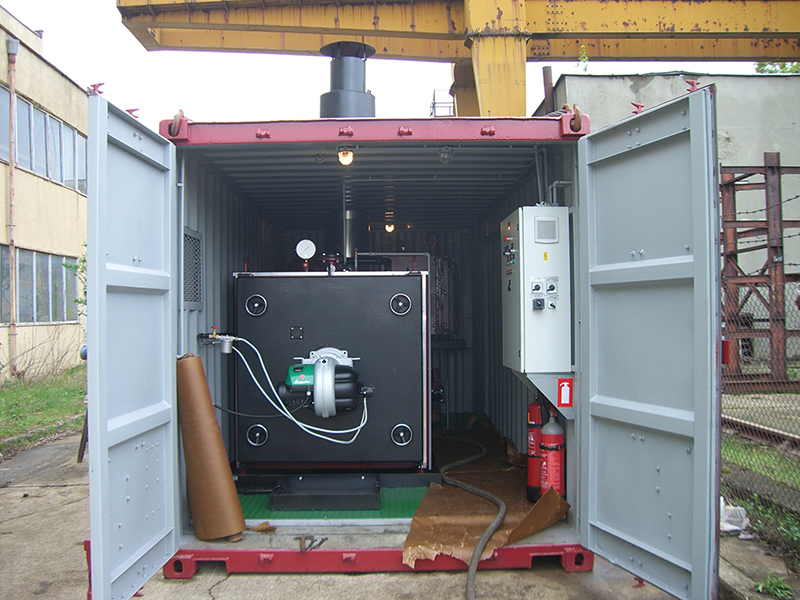 By order of “BM Gust” EOOD, Varna, BG, one hot water boiler with thermal power 1,0 MW, together with all equipment needed was produced and installed in a standard 20” sea container to be used on board of anchor handling vessel m/v “Enterprise”. The system was tested at open sea on board of m/v “Enterprise” and proved its high efficiency and reliability. 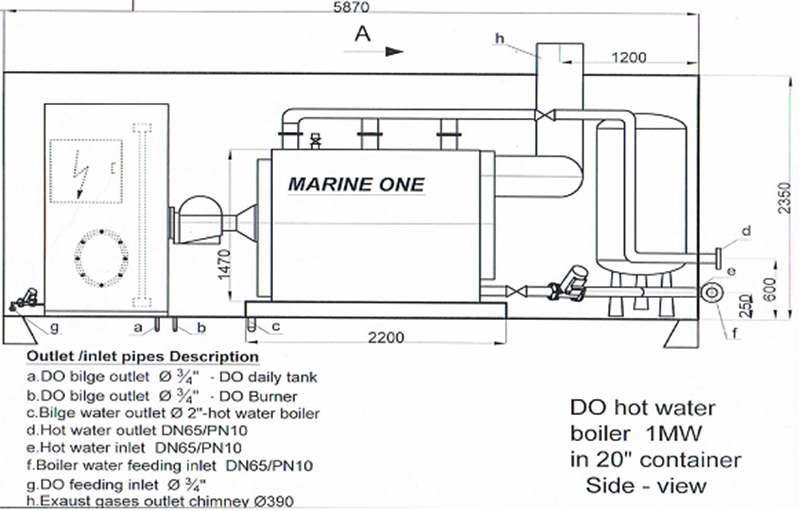 The boiler is horizontal tube flame hot water boiler, with round combustion chamber, with insulation and lagging, installed on legs in bilge water pan. 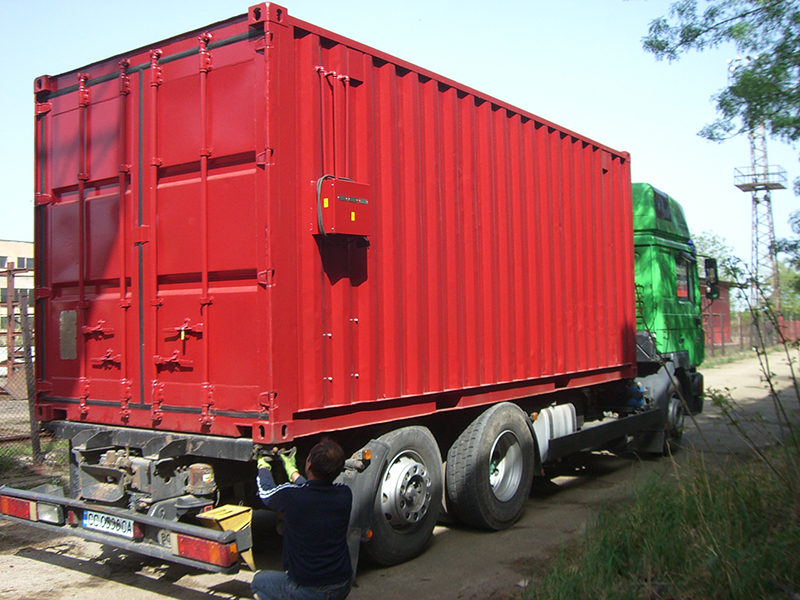 Bellow you can see the lay our of components situated in 20” sea container, overall dimensions of main units and key of components and pipelines. 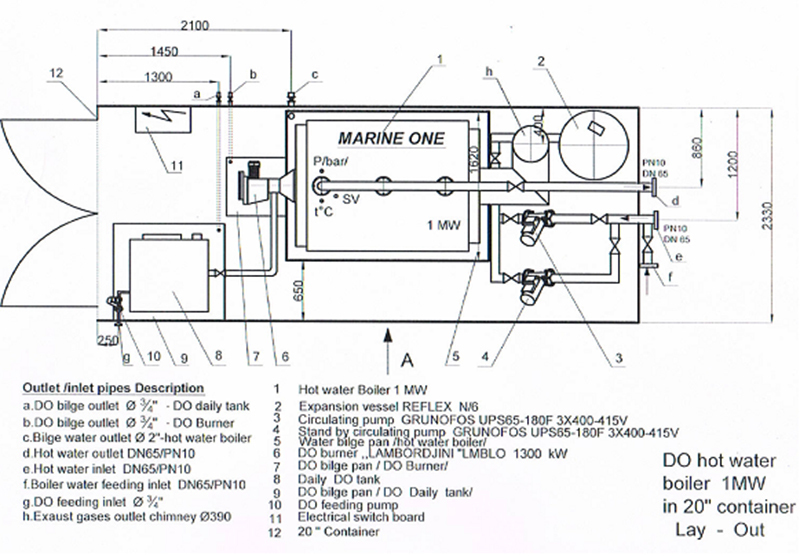 This 1 MW containerized hot water boiler type “Marine One” has been designed by our engineers to be used as hot water supply unit on board of service vessels and/or on shore, depending of specific need.